Searing stomach pain, racing heart, hair loss, missed periods, flared psoriasis, burning fingers, constipation, confusion, frequent upper respiratory infections, and nine months of intractable insomnia. No, this is not why Rachel went on Zoloft in the first place. No this is not a “relapse.” She came to me at the end of her rope, hanging on for dear life, at a point of desperation that she had never known possible when she filled that prescription six years ago after a breakup left her heartbroken. Now four months from her last dose, Rachel could spend the rest of her days visiting specialists and garnering new diagnoses chasing the elusive thread that links them all: psychiatric medication withdrawal. I was trained to tell patients like Rachel that this is evidence they should remain on medication. I was taught to tell her that the medication was long out of her system given its “half life” and that these symptoms were unrelated to the fact that she stopped taking her Zoloft; and her distress around her condition, evidence that she should restart it. 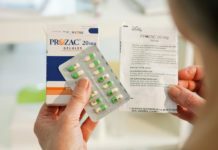 Ten years ago, the recent New York Times article entitled “Many People Taking Antidepressants Discover They Can’t Quit” would have shocked me. I would have dismissed serious medication withdrawal as rare if I acknowledged it at all. In the first systematized review of SSRI withdrawal, Fava et al. examined 23 studies and 38 case reports leading them to conclude that the euphemistic term “discontinuation syndrome” must be abandoned in lieu of a more accurate depiction of the habit-forming qualities of antidepressants — withdrawal. Yes, just like Xanax, Valium, alcohol, and heroin. I have stated and will again, that psychiatric medications, and specifically antidepressants, are the most habit-forming chemicals on the planet. I’ve seen patients who have been disabled by a Celexa taper progressing at 0.001mg per month — I challenge you to find me comparable instances of crack cocaine, heroin, alcohol, or others meds that demand this level of care and caution to simply come off them. As Dr. Joanna Moncrieff has stated, antidepressants create imbalances. One that the body then adapts to, and one that specifically recruits the stress response system, one possible explanation for how and why withdrawal from these medications sets off alarm bells that reveal every weakened link in your physiology. Andrews et al have detailed the propensity of these medications to induce withdrawal, a phenomenon that relates not to the patient’s clinical history, but to the chemical profile of the drug. Unfortunately, we also know that it can take longer than 17 years for basic science research that challenges consensus practice to trickle into the hands of the average clinician. Because medication is not a long-term solution. For some, it’s not a solution at all, as evidenced by placebo-level efficacy attended by an extreme list of unintended effects ranging from gastrointestinal hemorrhage to impulsive homicide. All of the long-term naturalistic data available cautions that those who are treated with psychiatric medication for longer than two months function more poorly than those who were never treated. In fact, it was the long-term data reviewed in Robert Whitaker’s book, Anatomy of an Epidemic, that made me put down my prescription pad forever. Since that time, I have been supporting patient transitions to medication-free living and have outcomes including those published in the peer-reviewed literature that defy the dogmatic presumptions around mental illness as a chronic medical condition. They dare to ask WHY. Why were they symptomatic to begin with? What was really beneath their diagnosis, sometimes made after a ten-minute visit with a college health center doc. We move through a process of self-healing and personal reclamation that triages imbalances. First we heal the physical body and address gut-brain inflammation, a well-recognized driver of psychiatric pathology. Through this process of a month-long lifestyle change protocol, we address many reversible drivers of symptoms ranging from panic attacks to fatigue to obsessive compulsions. These drivers include blood sugar imbalance, food-based autoimmunity, nutrient deficiencies, and medication-driven effects including from common meds like antibiotics and birth control pills. Then we take an emotional inventory of the relationships and elements of one’s life that are simply no longer working. With the renewed energy now reclaimed from the white noise of physical imbalances, these patients are ready to begin addressing what they may not have felt capable of turning toward in their life earlier — a toxic marriage, an oppressive job, a lack of community. Invariably, there is an emergence of the deeper spiritual elements of healing that these med-free seekers encounter. They begin to explore the big questions: what am I here for? How can I give back? And the deeper why of their conditioned and patterned behavior — their childhood experiences and traumas. 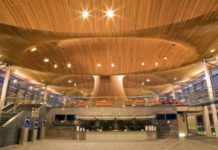 Next articleMental Health Act Review: Will We See Meaningful Change? Psychiatry is a pseudoscience, a drug racket, and a means of social control. It’s 21st Century Phrenology with potent neuro-toxins. And Dr. Kelly Brogan, MD, is one of the rare exceptions which prove the rule. Even she admits that she no longer believes what she was taught in medical school, – that psych drugs “fix” something, and need to be taken for “LIFE”. “Taken for life” is a LIE that was invented solely to $ELL DRUG$. My own personal journey from life-long psych sickness to whole healthy happiness includes read Dr. Peter Breggin’s “Toxic Psychiatry” in the early 1990’s. What Dr. Brogan says here has been confirmed in my life, and many others, too. “Third Path Psychiatry” is a darn sight more hopeful, human, and HEALING alternative than anything the American Psychiatric Association has to offer! KEEP UP the GOOD WORK, Kelly! Very informative blog, thank you, Kelly. Sadly, 99.9% of the commentators had similar (expected) disgusted reactions to the article. Lately, there seems to be a proactive PR media push for NAMI-like awareness for “mental illness”, from claiming 1 in 5 people will eventually be mentally ill in their lifetimes … to celebrities “coming out” and claiming their “mental illness.” This month: Dwayne Johnson. Today: Mariah Carey. America is digging its own grave. And no one’s the wiser. Which means you get prescribed triptans along with the SSRI which exacerbate the migraine with rebound migraines and then another prescription of beta blockers and the opioid painkiller tramadol. What a disgusting thing to do. Bruxism can be treated with an NTI-tss mouth splint and migraine very effectively with magnesium taken long term. But it is a lot easier said than done. I’m sorry, but there is NO way that antidepressants are more addictive than benzodiazepines and that antidepressants withdrawal is worse than coming off benzos. Some say it can be just as difficult in certain patients, but worse, and worse in general at that? Get out of here! Also, gut-brain inflammation is NOT a well-recognized driver of psychiatric pathology. Recognized by whom? I have not seen any evidence for that. Aren’t you just reducing everything to biology again by blaming the body? Emotions and social problems are a much safer bet when looking for explanations for mental illness. Have you taken both benzos and SSRIs Elsa? I have not so I am asking. I went off much faster than they recommend on Surviving Antidepressants. I did not have a psychotic break despite dire prophecies. My problem is not withdrawal but a demolished gut. Those poisons wiped out my digestive system. Glad I’m off–for me that ended my depression. No such thing as mental illness either. There’s the rub. No such things as antidepressants for that matter.